Hi there, welcome to our Cheery Lynn Designs Blog Hop, where our theme this month is Flower Power. To create my card I started out by cutting out a trifold card base and I die cut the card front folds using the Ornament #14 Die, which I have been wanting to use for a long time. Next I die cut the Floral Bouquet Kit 8 Piece Die set, Chrysanthemum, Gardenia Strip and the Feathered Friends out of water color card stock. If you frequent my blog, you already know I love to water color, so my favorite technique to work with flowers is also water coloring. I always use water color papers and love how the flowers just come alive after painting them. Once I painted my flowers I put them together. 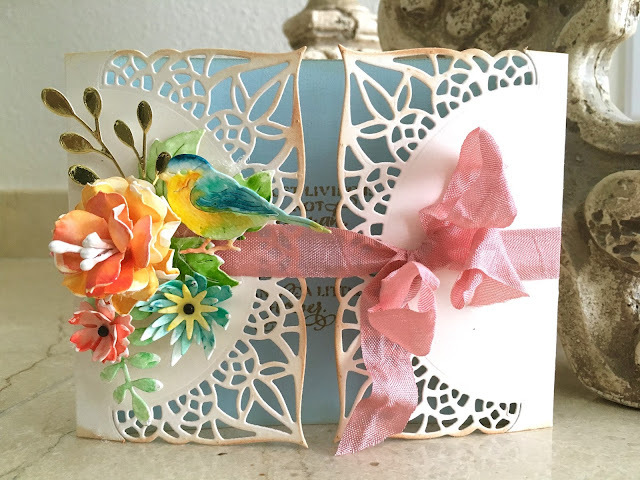 I tied a ribbon around my card to have a closure for it and started layering my flowers and bird and finally added some pearls in the middle of the flowers. I also die cut one of the elements from the Floral Bouquet Kit 8 Piece Die set using gold foil card stock to tuck in between the flowers. 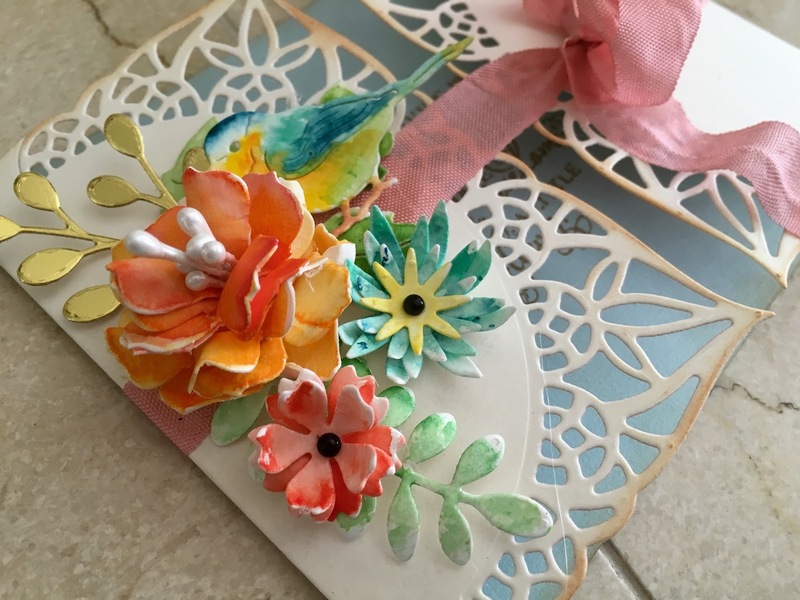 Thank you so much for stopping by and your last stop is our Cheery Lynn Designs Blog, if you haven't checked it out yet today. Follow through to the end of the hop and leave a comment on the Cheery Lynn Designs Blog too for a chance to win a $20 gift certificate. Good luck to you all and enjoy the pretty eye candy in the meantime!